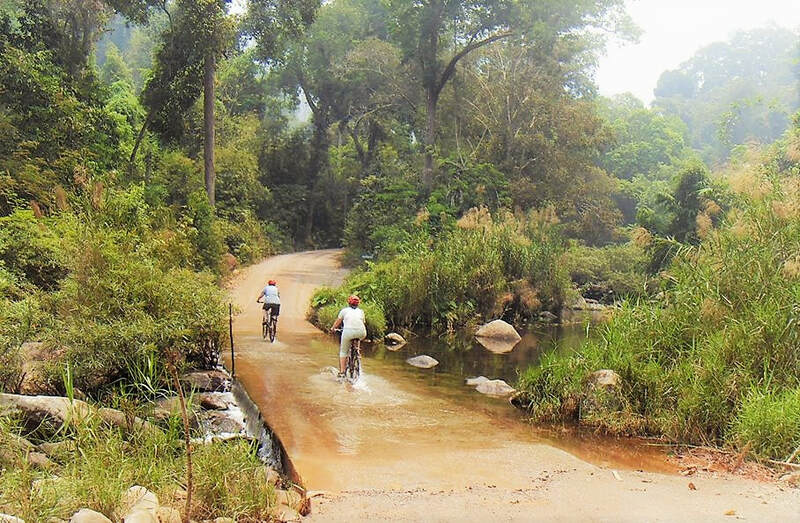 1 day cycling through the beautiful valley of Luang Namtha - Trekking in Luang Namtha, Laos - Hiking, Kayaking, Cycling, Village Tours - Discovering Laos! Great for cycling buffs short on time but want the full guided experience around the beautiful valley! Meet at the Discovering Laos office at 9:00am. Our first stop on the cycling tour is at the local museum for an excellent insight into the traditional way of life for the people and minorities of Luang Namtha province. 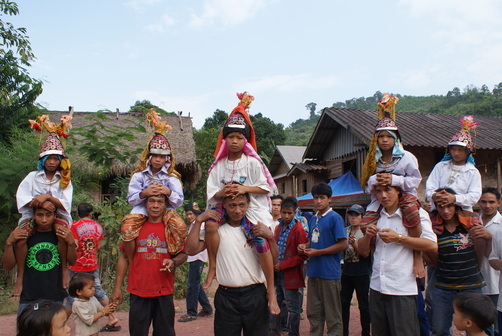 At 10:00am we set off for a nearby waterfall, visiting a Lantan minority village on the way. Here we can see first-hand the techniques involved in making bamboo paper, a popular handicraft attributed to the Lantan people. After cycling through rustic villages and along quiet roads, set against a backdrop of beautiful countryside, we take a well-earned lunch break at a traditional Lao restaurant. 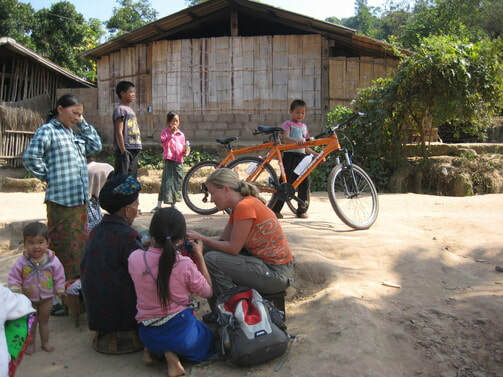 We get back on our bikes and cycle on to visit several minority villages, including the Tai Dam, Tai Lue and Akha people. This is a unique opportunity to observe silk production and colouring with natural dyes. Also, traditional handicraft making and alcohol distillery. We continue cycling and reach a magnificent stupa. After climbing a steep staircase to the stupa, we're presented with jaw-dropping panoramic views of Luang Namtha and the surrounding countryside. ​At 4:00pm we have option to visit another stupa and Buddhist monastery before heading back to the Discovering Laos. The price ranges from $25/person (USD) for 8+ Pax to $58/person (USD) for 1 Pax.